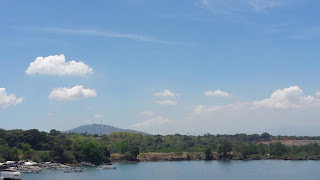 Planning to visit Bataan but you are afraid of the traffic due to weekend or holiday rush? 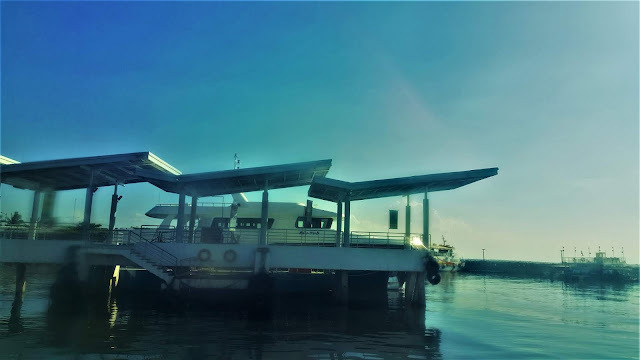 Fret not, the 1Bataan Integrated Transport System would cut your 2-3 hours travel time to 45 minutes via Ferry Ride from Esplanade Seaside Terminal near SM Mall of Asia to the 1Bataan Terminal in the town of Orion. 1. All passengers are allowed to check-in an hour and 30 minutes before the departure time. Make sure that you are at the vicinity before the departure time since gate closes 30 mins before the departure time. 2. 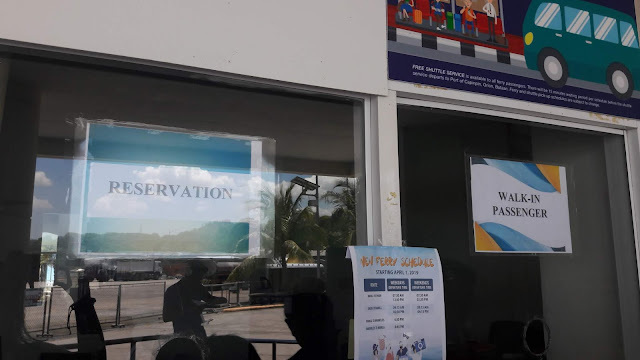 It is important that you provide your full name, age and contact number for the manifest in compliance with the Philippine Coast Guard requirement. 3. Please present valid IDs for verification of each passenger. The terminal has a spacious car park so if you are bringing your car, there's nothing to worry. At the arrival area, you need to approach the ticketing booth for your boarding pass. Here, you must present a valid ID for verification if you booked your ticket online. I forgot to bring a copy of my ID so I showed them a soft copy of my passport and the transaction went smoothly. Thank God they were nice enough to do that but I highly encourage you that you often bring your valid ID with you. Here's the window for the reserved and walk-in passengers. 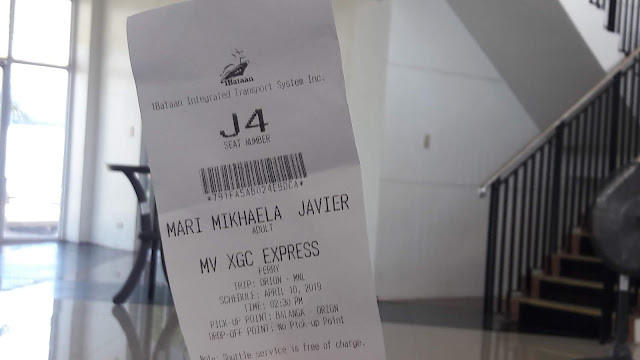 There's a huge difference on the amount of fare for reserved and walk-in so I highly suggest that you book your tickets ahead to lessen the costing and the hassle. 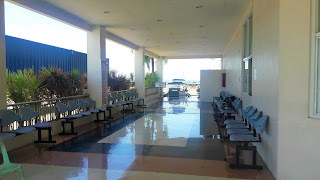 They also have a waiting area once the line gets long and have PWDs or senior citizens with you who cannot really stand for a long time. 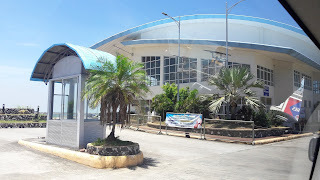 This can also serve as the waiting area for those who are waiting for the arrival of the ferry from Manila. 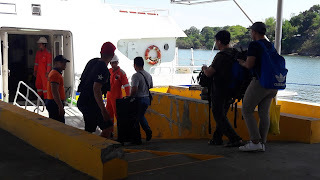 The Philippine ports authority made sure that the security procedures in the area follow the strict rules for ports so they use automatic x-ray scanner for baggage making it easier for both their staff and the passengers. 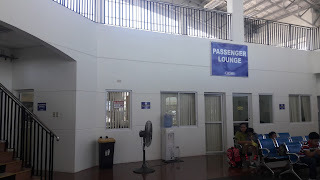 I am actually surprised that their port is bigger than the airport where we landed in Tuguegarao, Cagayan. Aside from that, it is equipt with wifi. 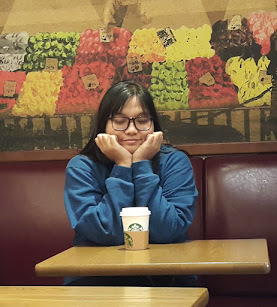 Since we arrived two hours before the time of departure, I had enough time to write an article before we departed. 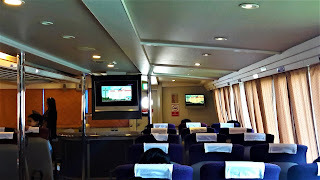 There are numerous seats for passengers. 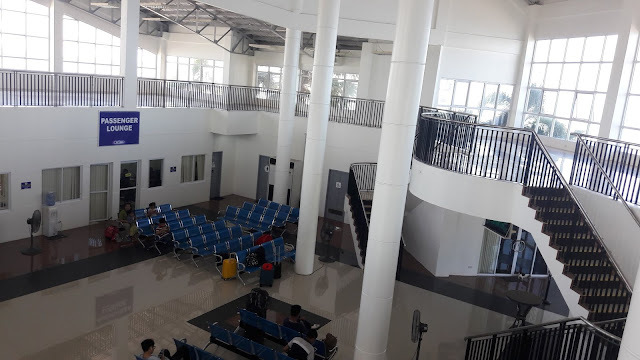 In fact, the waiting area can handle about 200 people at the same time and I am amazed that there's actually a huge space upstairs that can serve as a multi-purpose hall and a 360 viewing deck. 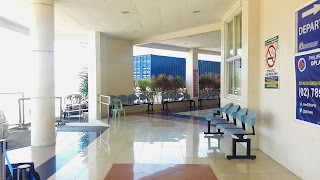 At the 2nd floor, the scenic Bataan will surely surprise you. Since it serves as a 360 viewing deck. you'll be able to see waters on one side and the Mt. Samat on the other. 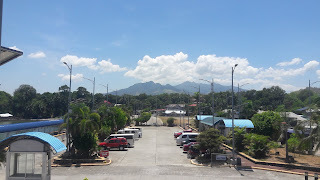 It feels surreal that I am finally leaving Bataan and I could still see Mt. Samat where I just spent the 77th Araw ng Kagitingan (Day of Valor) a day before this departure date. Here's my boarding pass! 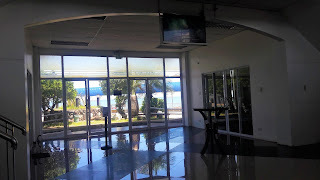 It's my first ferry ride so I am quite surprised by the fact that the services seem like you are actually in an airport. 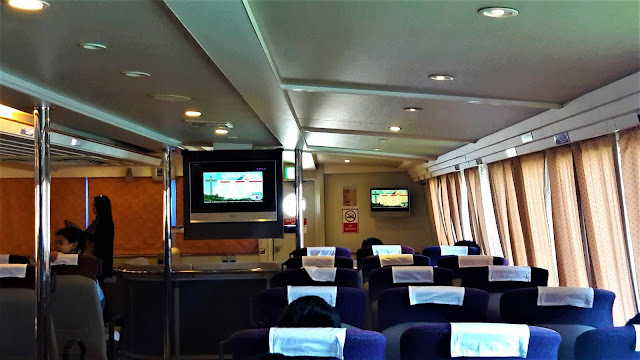 The boarding pass will be checked upon entry to the ferry itself for verification and for seating arrangement. 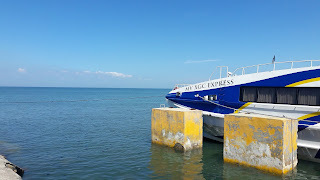 We rode the MV XGC Express and we were assisted by the 1Bataan Staffs and coastguards. Upon boarding, you'll be requested to leave your baggage (if you have) at the designated area for everyone's comfort. 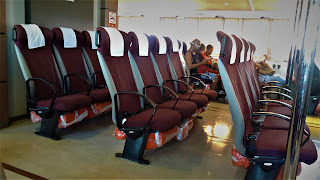 Here's how the seats look like. It really looks like you are riding an airplane. The safety vest is located underneath your seat so there's nothing to worry in terms of safety procedures which they showed on the screens provided on board. 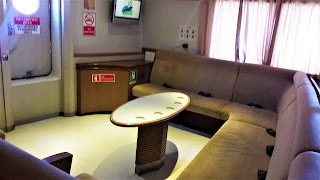 Tip: Do you know that you can get to this special VIP area without any additional payment? In fact, you just need to inform the ticketing that you'd like to go for VIP and you'll be given this seat if it's still available. 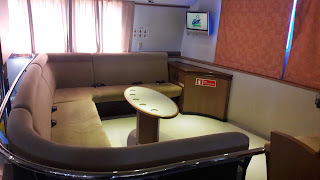 The best part of this spot is that it has charging ports so you can power up your gadgets while on board. 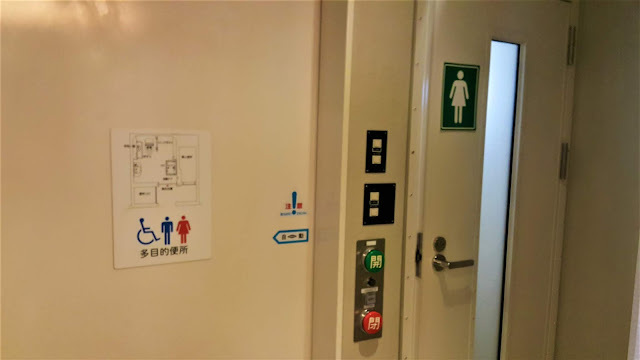 There are available comfort rooms and emergency exit maps provided. I am surprised to see that there are Chinese translations on the maps and the buttons itself. In 45 minutes to an hour, you'll be arriving in Manila. 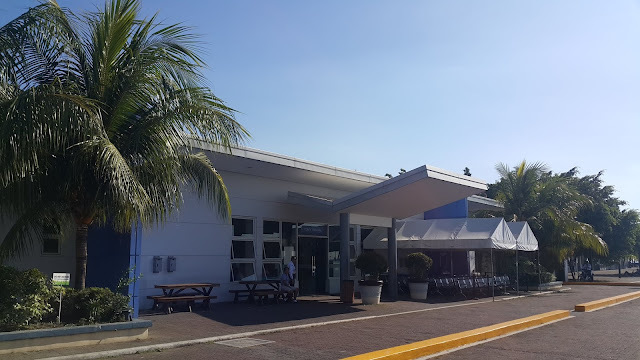 The Esplanade Seaside Terminal has located nearby the SM Mall of Asia and it offers trips to Bataan and Corregidor as well. 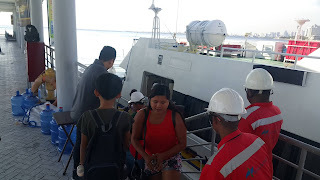 We were assisted by their staffs when we arrived at the port and had an easy exit right after. It's really nice that they also offer the Book now, pay later for only 450 pesos per trip. Terms and conditions apply so you may check it on their facebook page: 1Bataan Integrated Transport System. P450 per way per head if booked online. P799 per way per head if walk-in. 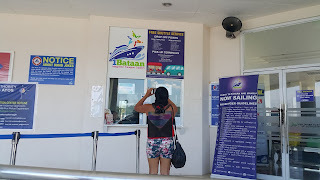 Regular fare ticket includes bus drop off points to various bus stations in Bataan. 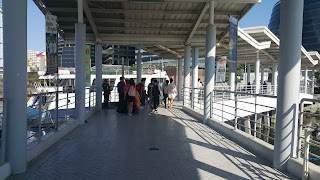 Walk in passengers can go to the Port of Orion to purchase tickets or at SM MOA Esplanade Seaside Terminal beside Vikings in Pasay City. Children below 2 yrs old are free of charge. Senior Citizen discount is applicable except for promos. PWD discount is applicable except for promos. Note: Pregnant women are not allowed to board the ferry for safety reasons. Only 1 hand carry luggage with a maximum weight of 7 kg with a size of 56cm (22in) x 36cm (14in) x 23cm (10in) is allowed per passenger. Smoking is not allowed which includes e-cigarettes. Parking space in both terminals is available.